The existence of places like Shilingol is one of the many fringe benefits of living in a big city. Tiny, unpretentious "ethnic" restaurants tucked into out-of-the-way neighborhoods, offering authentic food from faraway lands and serving, in their own way, as cultural embassies. When they cook up food as great as Shilingol's, it's just an added bonus. 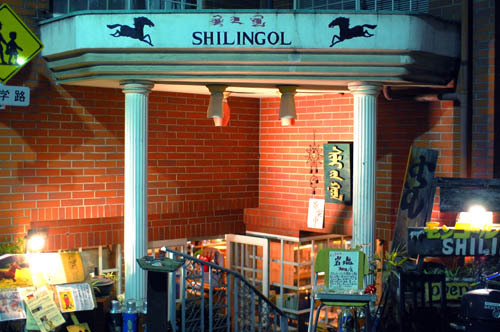 A brisk six-minute walk from Sugamo station (Yamanote, Mita lines), Shilingol is in a quiet residential neighborhood, housed in what looks like a converted coffee shop. The space is unassuming but charming - traditional Mongolian paintings hang from the walls, and every surface is covered by bric-a-brac and tchotchkes - spice jars, tea-making equipment, musical instruments, wooden carvings of horses, stuffed horses, miniature bows and arrows, a chess set, and some odd-looking hats. When you sit down you'll be welcomed with a bowl of Mongolian milk tea - very creamy, a bit salty, and almost buttery in flavor. The food menu is dominated by lamb dishes, such as well seasoned, spicy kebabs (Y1000 for 3); a richly flavored lamb and vegetable stew; garlicky lamb dumplings; and a shabu-shabu hotpot dish. 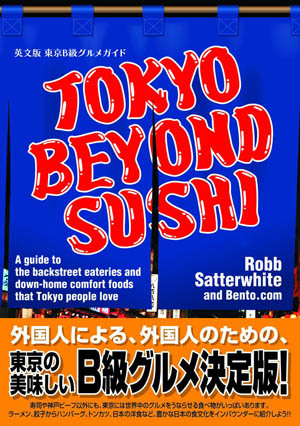 Cold appetizers include garlicky, spicy tofu cubes (Y500), and garlicky, spicy shredded potatoes (Y500). (They've definitely got a garlic theme going here.) The drinks menu lists Mongolian vodkas, a tangy fermented milk drink called "airag", and beer. There's a live performance of traditional Mongolian music every night at 8pm, and cassettes and CDs of the music are on sale to take home.